Results on Poll: Would you support a total abolishment of the death sentence? Before an execution, the convict will be led to be weighed. The executioner will then use the Official Table of Drops, published by the British Home Office in 1913, to calculate the correct length of rope for the hanging. Hanging in Singapore is performed with the “long drop” method. Enough rope is given between one to three meters, depending on the weight of the condemned, to deliver enough force to fracture the neck, killing him immediately. All over East Asia, drug trafficking is an offence punishable by death. For a better appreciation of why this is so, one needs only flip back a few hundred years in history. The paranoia arose during the periods of Qing, when China had been plagued by the effects opium. The Europeans introduced the mixing of opium with tobacco and in the name of profit, it turned the Chinese into cadaverous addicts. Harsh punishments were designed to prevent the widespread use and sale of the drug. The theory was simple: if you sell a substance that wrecks the lives of many, you will have to pay the punishment with your own. A government has as much right to take your life, as you have by willingly distributing a product that will kill someone else. Since British colonial days, death by hanging has seen more than 850 executed since 1959 (as claimed by Darhshan Singh). There are no numbers available of how many of these happened before independence. In the last seven years, between 2004 to 2011, a total of 25 Singaporeans and 12 foreigners were executed. Is it really a deterrent to drug abuse? Singapore has one of the lowest prevalence of drug abuse worldwide. Over two decades, the number of drug abusers arrested each year has declined by two-thirds, from over 6,000 in the early 1990s to about 2,000 in 2011. Fewer than two in 10 abusers released from prison or drug rehabilitation centres relapse within two years. There are no traffickers pushing drugs openly in the streets, nor do we need to run needle exchange centres. Singapore does not have to contend with major drug syndicates linked to organised crime and these can be directly attributed to the harsh punishment. According to the 2008 World Drug Report by the United Nations office on drugs and crime 8.2% of the UK population are cannabis abusers; in Singapore it is 0.005%. For ecstasy, the figures are 1.8% for the UK and 0.003% for Singapore; and for opiates – such as heroin, opium and morphine – 0.9% for the UK and 0.005% for Singapore. Singapore’s use of capital punishment has often come under criticism. However, contrary to the assertions of anti-death penalty campaigners like Gallahue and Lines, Singapore laws that specify the death penalty for certain drug offences do not contravene international law. Notably, at the United Nations general assembly in 2008, 46 countries, including some of the world’s largest democracies, voted against a draft resolution proposing a moratorium on the death penalty. Another 34 countries abstain. There are cross jurisdictional issues also, if Singapore relaxes drug laws, but not the other countries in the region around us. This would turn us into a hub for trafficking or consumption. So given the circumstance, unless the rest of the region simultaneously abolishes the death penalty, the status quo should remain. 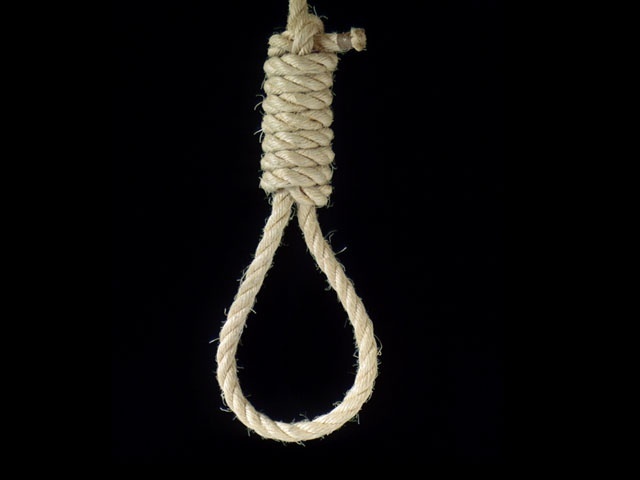 Parliament has recently passed amendments to remove mandatory death sentence. This gives judges general discretion on how each unique case should be approached and would prove a good first step in a more humane direction. The matter of hanging crosses religious, cultural, historical and personal beliefs. How we come about our personal conclusions is a difficult thing to articulate. Arguments presented are both equally strong. FSaaM went to Facebook and made a public poll asking if individuals would support a total abolishment of the death penalty. Some have told us that they chose not to poll because they are unable to decide if it is the right, or wrong thing to do. What gives you the right to sentence another to death since you were not the one who gave them life? Even if the accused murdered someone, life in prison with no chance of parole is sufficient. “While I am not an enthusiastic supporter of the death penalty, I would not be in favour of its being totally abolished. If someone has wilfully taken the life of another person, he has ipso facto forfeited any of his own rights in the process. As I wrote in an article some time back, I would be much more strongly in favour of pursuing human rights for the *survivors* of the victims, who, sadly, are all too often overlooked in the process.” – Michael P.
» Wah, we got online wet market wor! » 8 tell-tale signs you’re an ATTENTION SEEKER! what about if when someone is convicted wrongly? then that is unfair right? i always wonder what happen when i drive to JB, and someone sticks a packet of drugs under my car. So what will happen then? I can see where the article is trying to drive at – there’s no wrong or no right, but God bless the politicians who have to stand-by their decisions. Bringing in religion just makes this so much more complicated. Agreed that death sentence should stay. I have heard that the worker’s party is pushing for it’s full abolishment. That is too drastic, too naive and I’d like to understand what policies they have in mind to counter the backlash. It is just too easy to say that “get rid of it, it’s not humane”… but it’s another to suggest ways of dealing with the after effects. I like how you brought up the part about keeping up with the region – very true. Please post this: What if you erroneously sent an innocent man/woman to the gallows? There will be more more reprieve? Answer: It will be very unfortunate. But without it, I’m sure many more innocent people will suffer.